Love of our land, respect for our traditions and passion for our work represent the values bequeathed from father to son within our firm established in 1975. These are the moral ingredients that inspire us and the sources from which our genuinely made products are born. Looking forward to delighting you even more with the genuine flavours of our products and other gift items, we are glad to present you with our speciality shop in Main Street, Rabat. Here you can taste our artisan confectionery items, along with the finest hand made pralines, local souvenirs gourmands, wines and liquors. Each item is especially selected for its high quality, unique taste and integrity of production. These are wonderful gifts for family, friends and business associates looking for unique and delicious products and a connection to local traditions. We also welcome you at café Santa Lucia in Attard. We offer exceptional artisan quality savouries as well as our famous sweets and are proud of our high standards and innovative recipies and variety. A family run confectionery since 1975, Café Santa Lucia has ensured a great reputation for delicious pastries, sweets, sandwiches, snacks and confectionery. It’s an excellent choice for a quick bite to eat and a refreshing drink, as well as a great place to meet friends and enjoy good company and snacks in a relaxed atmosphere. We offer wonderful cakes for special occasions and take orders for functions and parties so why not drop by and taste the difference? You’ll be pleasantly surprised with our delicious quality and value for money. 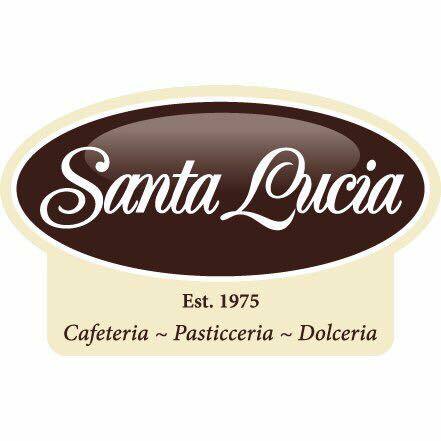 In 1975 our parents opened our first shop in Santa Lucia under the name of Santa Lucia Confectionery. Here we had our first small modest workshop and a 2 meter by about 1.5 meter shop. In 1988 we moved to our new premises in M'Xlokk which served our manufacturing purposes for nearly two decades. In 1993 we opened our own coffee shop in central Malta, in Attard and here we continued to build up on our solid reputation of providing our customers with genuine fresh desserts and mouth watering snacks. In 2003 we took over a rundown factory, completely refurbished it and turned it into a highly hygienic fully equipped kitchen where all our products are manufactured. This factory is now not only fully operating but meets the highest standards of this industry. It fully supplies our Cafeteria in Attard plus the Outside Catering Division.